T.V personality, Brenda Crouch tells her story about finding her true self through the guidance of God, in her new book, Fight Forward: Reclaim the Real You. Brenda Crouch found herself in the depths of misery and despair before hearing the voice of God. 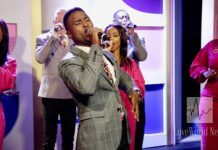 The now world-renowned Christian TV personality has a new sense of self after spending years trying to unearth her lost identity from the wreckage of addiction and emotional and physical abuse. 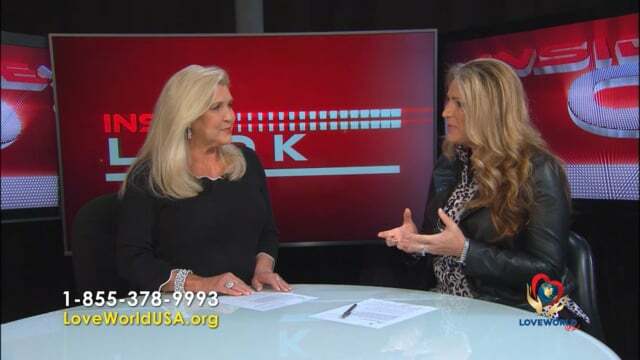 She appeared on Inside Look with Holly McClure to share her story. Brenda Crouch begins her book with the central question, “have you ever felt you’re not good enough?” We often taunt ourselves with these questions of self-doubt or blame, telling ourselves that we are alone and worthless. It’s exactly these thoughts that led the authoress to tell her story. “The voices and lies you give the power to shape who you are and attempt to hijack your identity, twisting your perspective on God, family, career, church, and other relationships.” Crouch forces us to confront just whose voice are we listening to and affirms that we are champions by God’s design and that one has to reestablish themselves in Christ. Crouch says that she learned who she was in Christ and that she “found her voice again in him”. Her book deals with that journey and offers practical advice to anyone suffering from the pain of addiction and abuse, and how it essentially stems from the lack of spiritual guidance. The book is broken into 5 different steps that help you discover the voice of Christ and your true self. •Find the courage to dismantle the façade and embrace your true identity. •Break the cycle of a victim mindset and trust the power of God to set you free. •Discover the strength to say no to users and learn to recognize authentic love. •Ditch self-ambition and explore the wealth of your divine purpose. •Find your voice and help others heal. 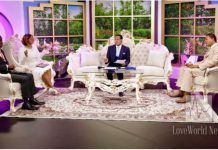 You can watch the incredible interview on Loveworld’s ‘Inside Look with Holly McClure’ right here. You can also get your copy of the book Fight Forward: Reclaim the Real You by accessing Brenda Crouch’s website www.brendacrouch.com. Holly McClure is Holly McClure is a multimedia personality with over 20 years’ experience in the entertainment industry. Her extensive background as a film critic, media consultant, filmographer, film and television producer and author, has made her a recognized name and advocate for family-friendly entertainment and the faith-based community. Holly’s stance for family and faith-based issues made for regular appearances on FOX, CNN, MSNBC and others. She was a regular guest for five years on Politically Incorrect, as well as various radio and television programs.